Painted ladies are probably the most widespread butterfly throughout the world, including North America, Africa, and Europe. They are salmon colored with black splotches on the top wings. A butterfly cycle includes egg, caterpillar(larva), chrysalis(pupa), and adult. The painted lady egg is single, barrel-shaped, and green. The caterpillar is the worm stage that has purplish-black and yellow stripes. In chrysalis, it becomes lavender brown, bumpy, bluntly beaked, and hangs upside down. The preferred host plant is thistle, although they will certainly use other plants if necessary. The adult is the colorful stage where reproduction and mobility take place. The most prominent marking are when their hind wings are together, they have four small eyespots, which differentiates them from American ladies, who have two large eyespots on their hind wings. In North America, you may begin to see them in late Spring, unless you are in warm regions like the Sonoran desert, there you will see them all year. 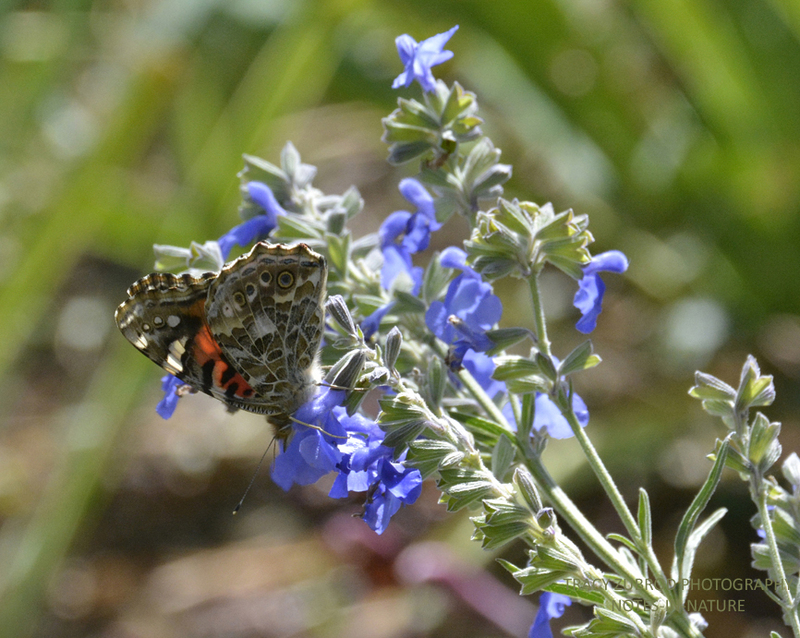 Painted ladies are found anywhere there are flowers, especially meadows, parks, and mountaintops. They are attracted to bright colors and sweet-smelling flowers like asters and cosmos. 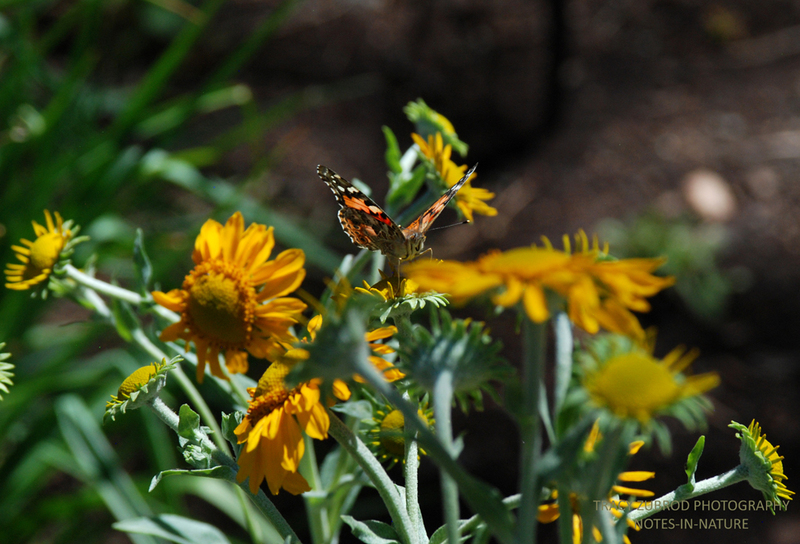 They also like purple clovers and milkweed, I have seen them sipping nectar from Echinacea and orange mountain daisy flowers. Right now Elise’s favorite things are butterflies. 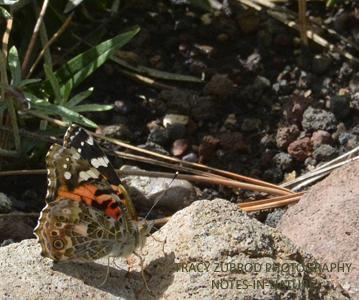 We went for a walk around a lake this weekend and came upon a dozen Or so painted ladies! Some even landed on her. She was giddy. As always, great photography Tracy!